Today, on Abraham Lincoln’s birthday, it seems an appropriate time to look at how the commander in chief’s influence over military matters was shaped by the nation’s 16th president more than 150 years ago. Although President Obama confers regularly with senior leaders in the Army, Navy, Air Force, and Marine Corps and takes an active interest in the ongoing conflicts in Afghanistan and Iraq, probably no president will match Abraham Lincoln for having taken a direct role in military operations. The Constitution says that the “President shall be the Commander in Chief of the Army and the Navy” without explaining the nature of the position. While a literal reading of this phrase suggests that a president can deploy with U.S. troops and command them in the field, this has never happened. It was President Lincoln’s direct, active involvement in the Civil War that really defined the president’s role as commander in chief. On the contrary, military plans and operations have generally been left to professional soldiers, sailors, airmen and marines – after a congressional declaration of war, a resolution authorizing force or a presidential decision permitting the use of military force. While President James K. Polk selected commanders and set strategic policy during the Mexican-American War from 1846 to 1848, it was President Lincoln’s direct, active involvement in the Civil War that really defined the president’s role as commander in chief. After the outbreak of hostilities in April 1861, some believed the war would be short. But Lincoln realized in the months after the Union defeat at the Battle of First Bull Run that victory could not be attained so long as his generals did not understand what was required to win: aggressive military operations that would defeat Confederate forces in the field. Maj. Gen. George B. McClellan, Lincoln’s first general-in-chief, was a good trainer and organizer – and popular with Union soldiers. Although Lincoln did not completely give up on McClellan until after the Battle of Antietam in September 1862, he realized that McClellan’s timid approach would not defeat the Confederacy. Consequently, the president frequently communicated with his field commanders by telegraph. This invention made it possible for Lincoln to exchange information and directives at speeds that no previous commander in chief had enjoyed. Lincoln thought that general-in-chief Maj. Gen. Henry W. Halleck would be an aggressive war fighter, but after Union losses at the Second Battle of Manassas in August 1862, Halleck showed that he too lacked the ability to aggressively prosecute the war. Although Halleck remained in the Army’s top job, his consistently poor advice to field commanders forced Lincoln to take an increasingly active role. Consequently, the president frequently communicated with his field commanders by telegraph. This invention made it possible for Lincoln to exchange information and directives at speeds that no previous commander in chief had enjoyed. 1863 was critical in Lincoln’s role as commander in chief. First, he formally issued the Emancipation Proclamation on the first day of January. As James McPherson explains in Tried by War: Abraham Lincoln as Commander in Chief, Lincoln insisted that this emancipation policy had been “forced on him by the rebels.” If the Union were to be victorious, military necessity required that Lincoln exercise his authority as commander in chief to free the slaves in the rebellious Southern states – since it was slave labor that was supporting the Confederate war effort. Of course, the Emancipation Proclamation transformed the Civil War into a struggle for freedom – but that was not why Lincoln issued it on Jan. 1, 1863. Having issued the Emancipation Proclamation as a strategic measure under his authority as the commander-in-chief, Lincoln now focused his efforts on the three principal areas for military operations: Northern Virginia, Tennessee and the Mississippi River. 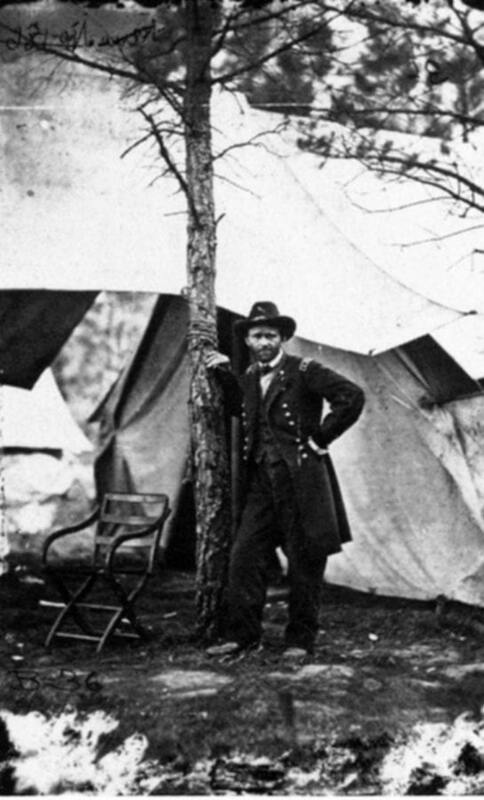 After Maj. Gen. Ulysses S. Grant proved at Vicksburg, Miss., that he could inflict a decisive defeat on the Confederacy, Lincoln had found the general who he believed understood that winning was not about occupying enemy territory but instead was about destroying the Confederate center of gravity – its armies. In March 1864, Grant received his third star and leadership of all the Union forces. 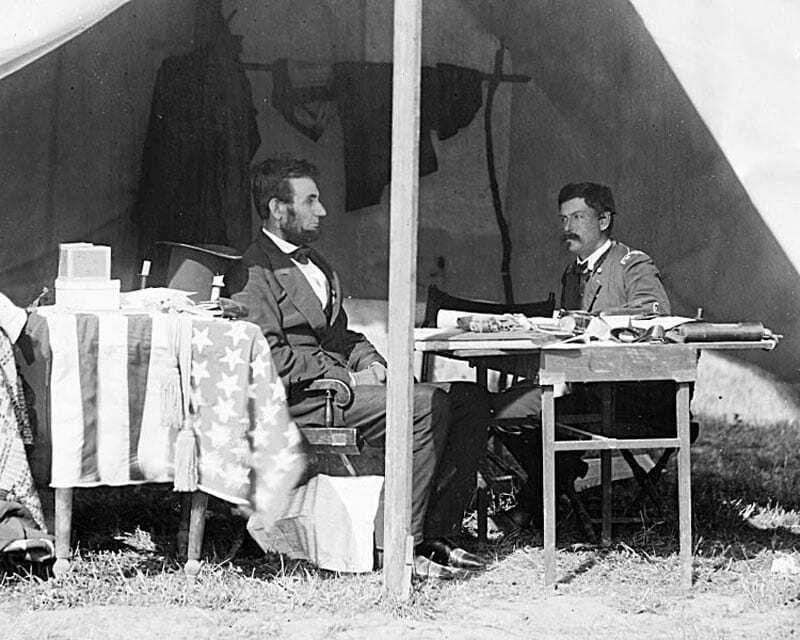 But while the president had found an aggressive war fighter, Lincoln remained engaged in the war. Most historians believe that Lincoln’s active role as commander in chief was critical to Union success. They also believe that Lincoln set the standard for civilian leadership of the military in time of war.